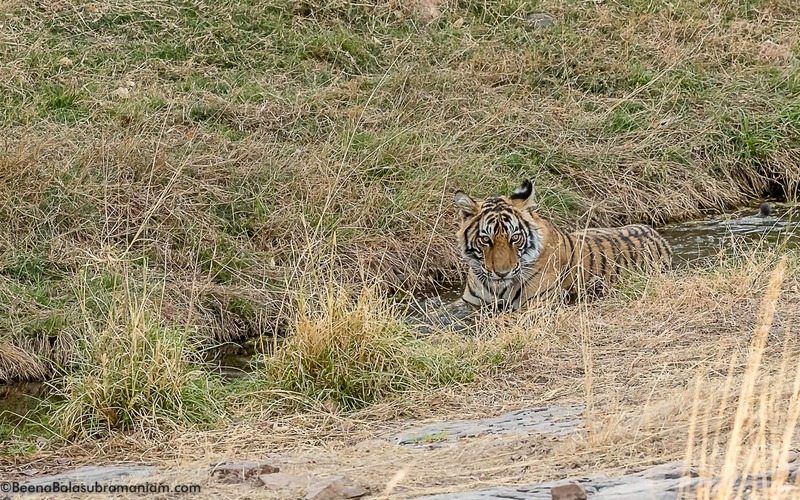 The last time I visited Ranthambore it was in the cold of winter, so I had heard so much about the famous tigers in the summer, one just had to go in the heat to experience the tigers and the summer of Rajasthan. 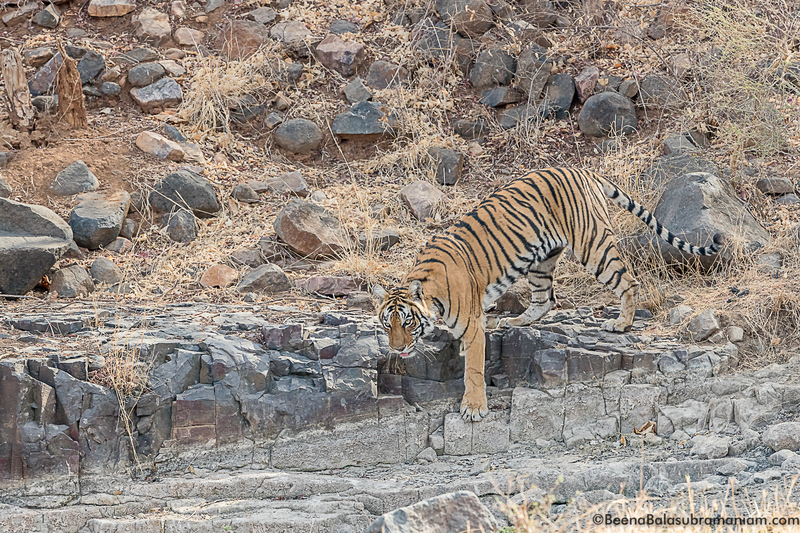 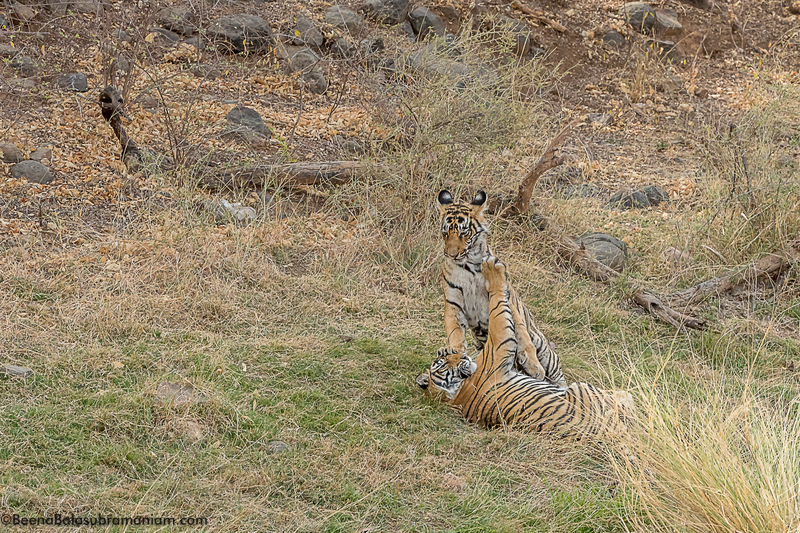 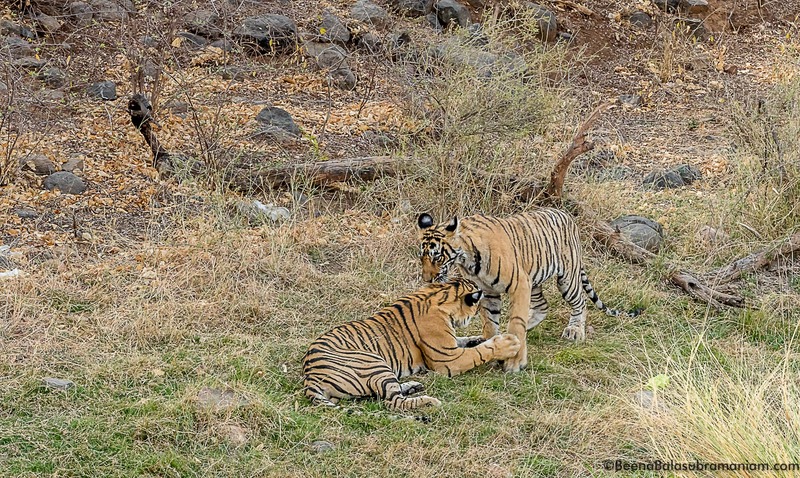 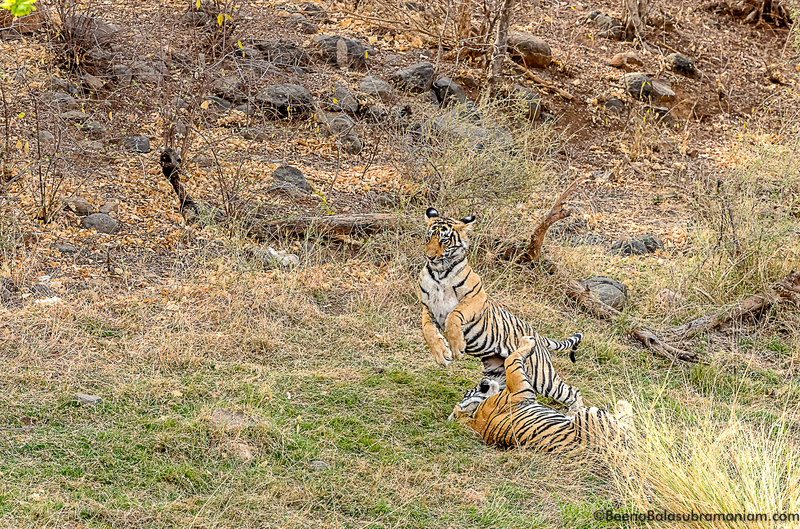 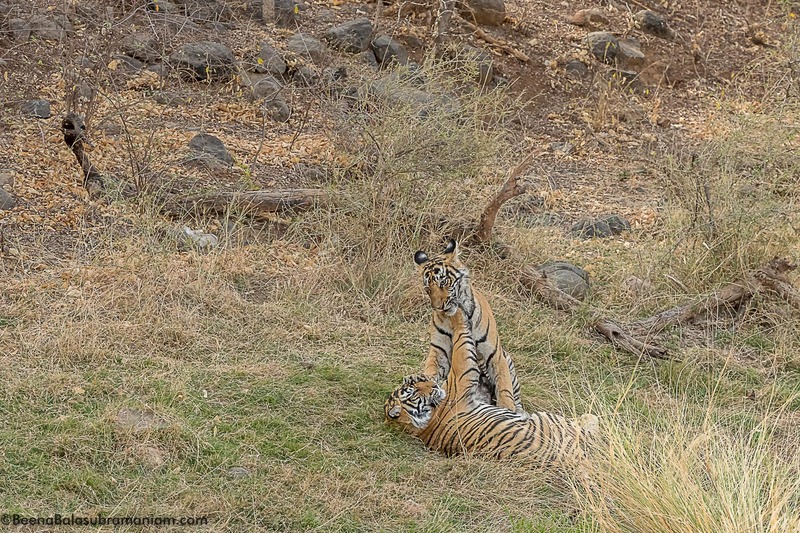 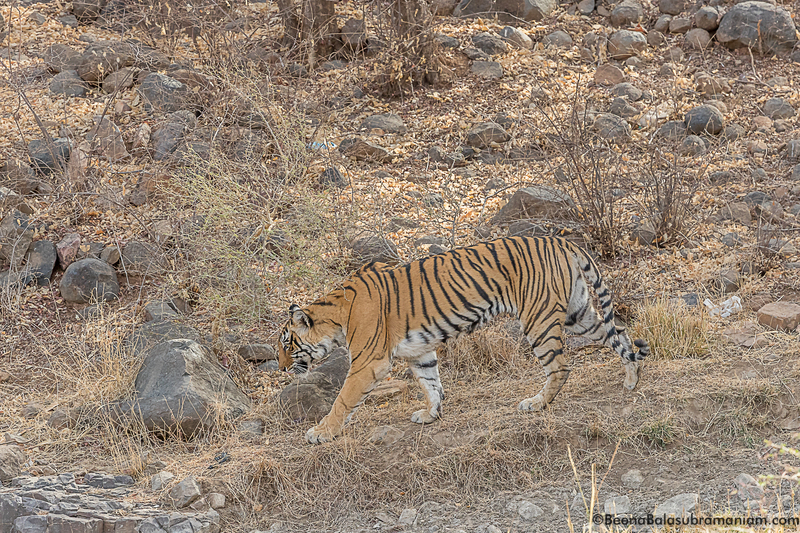 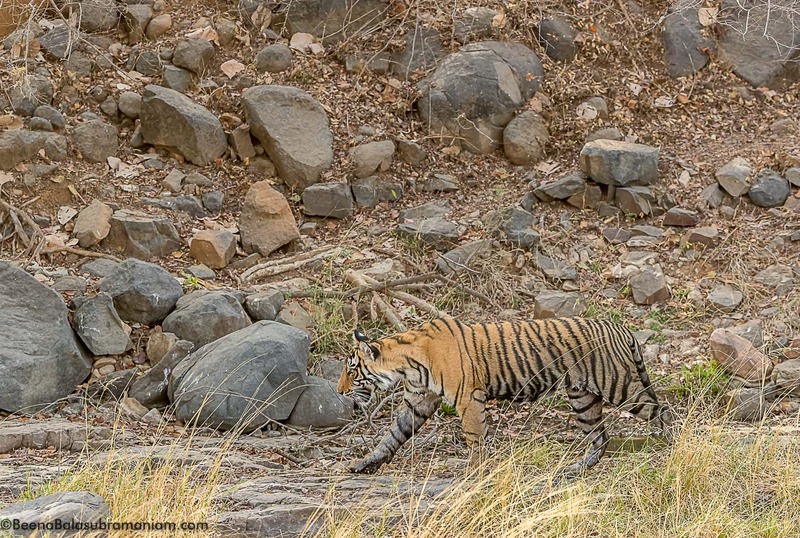 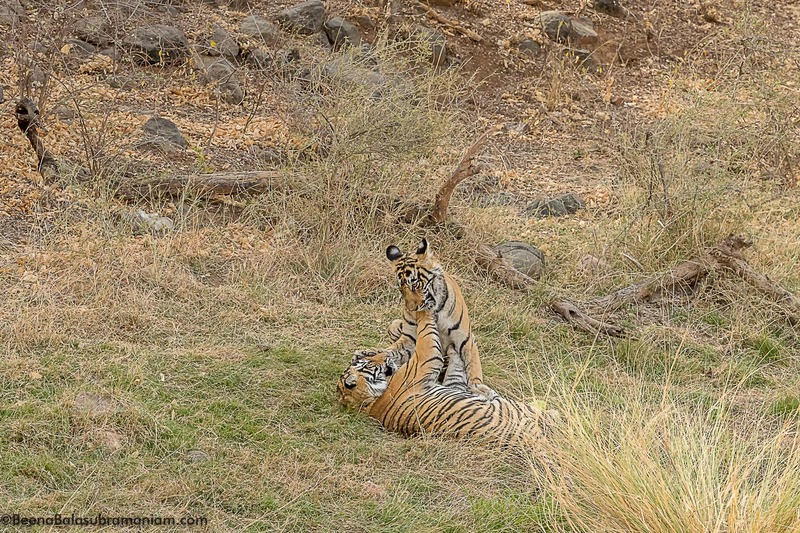 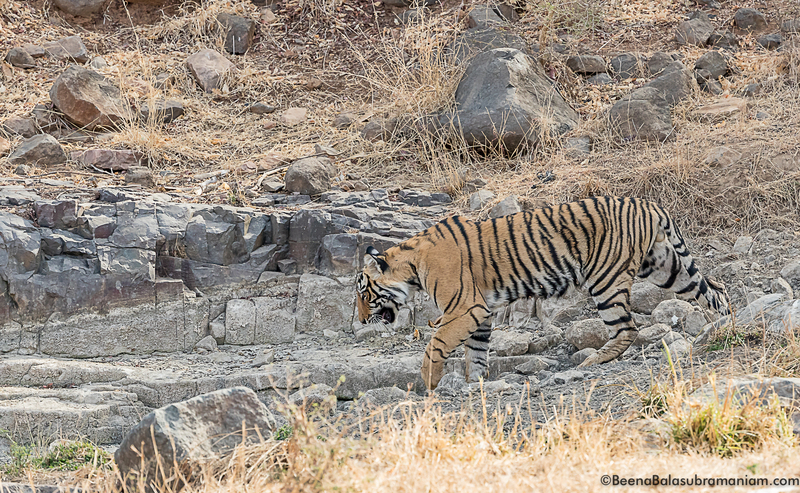 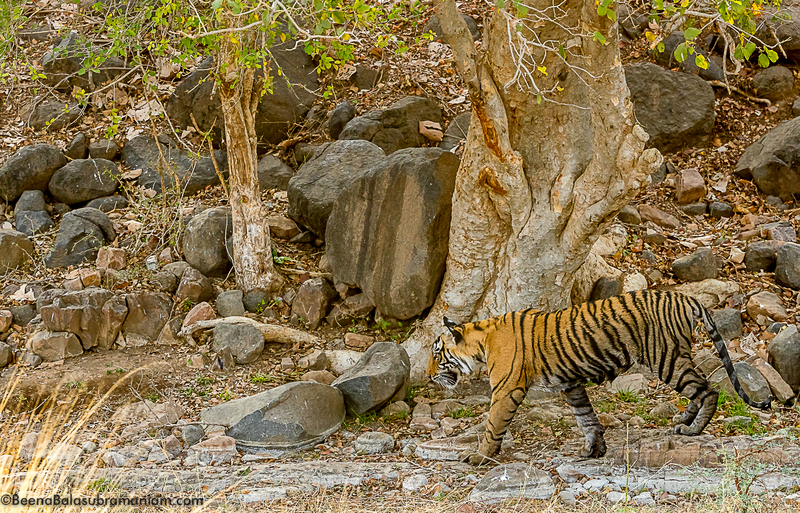 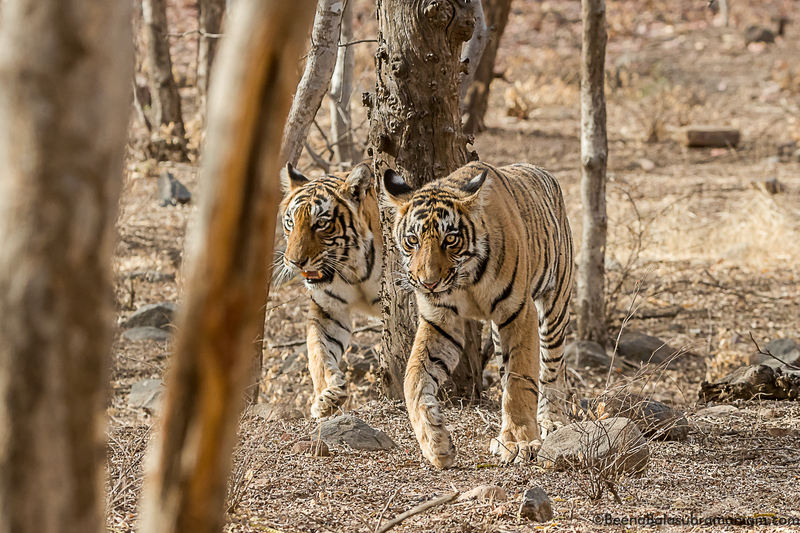 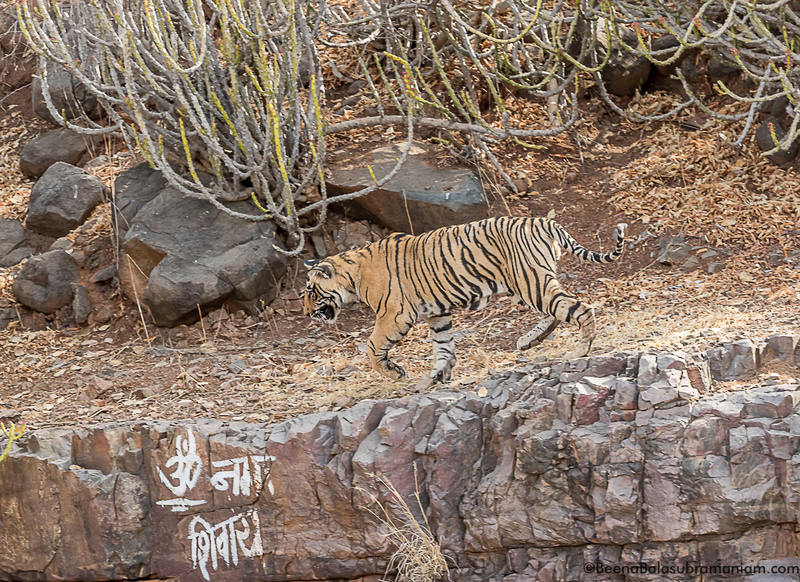 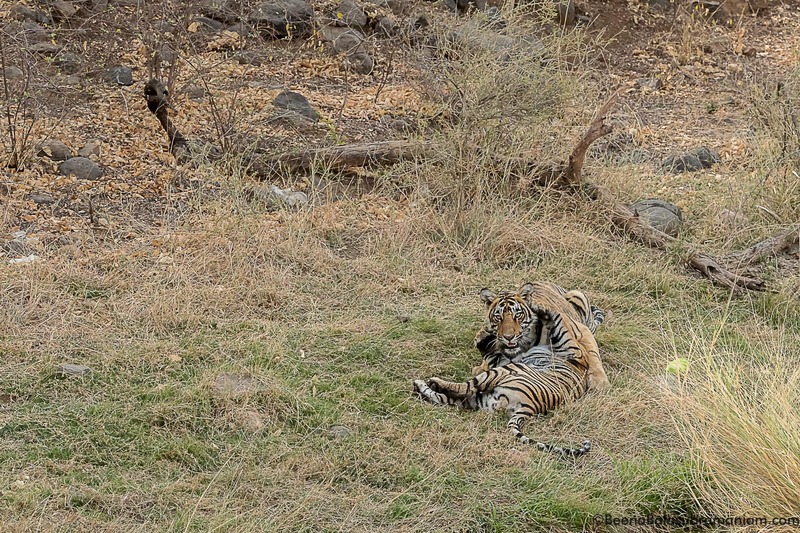 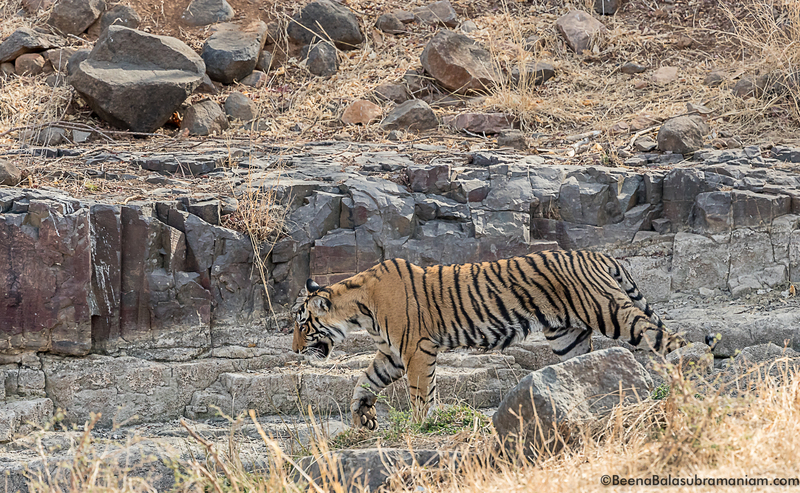 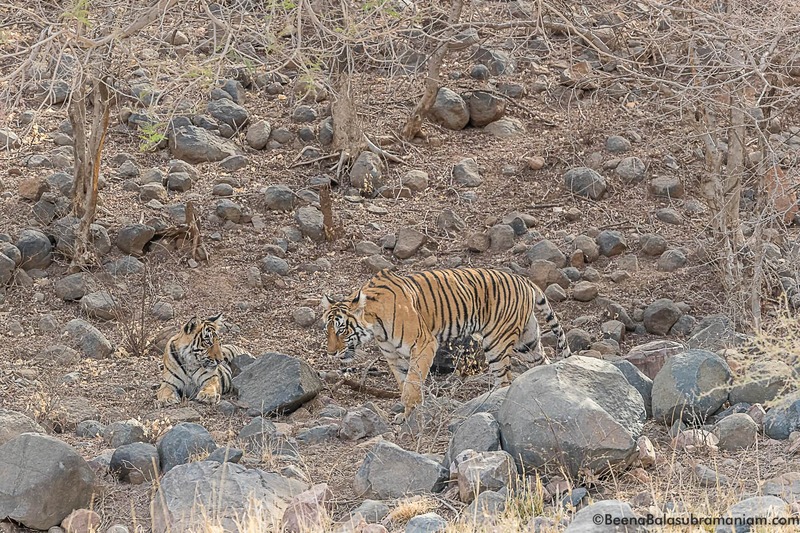 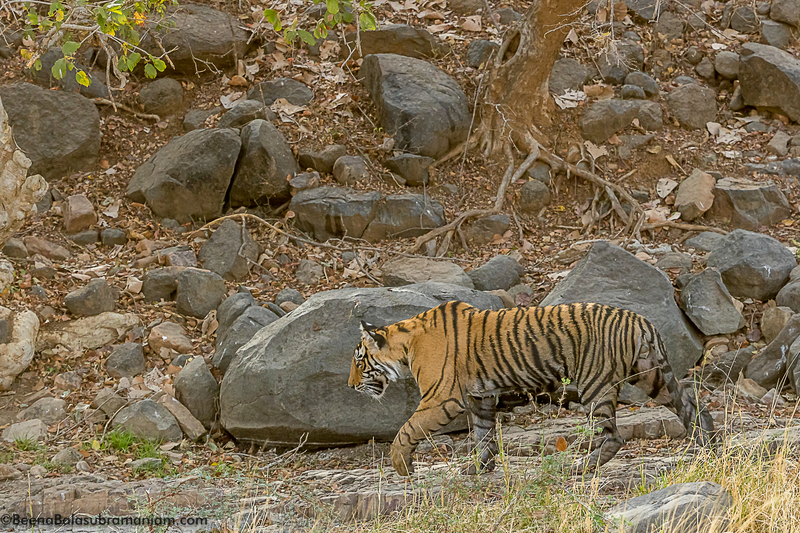 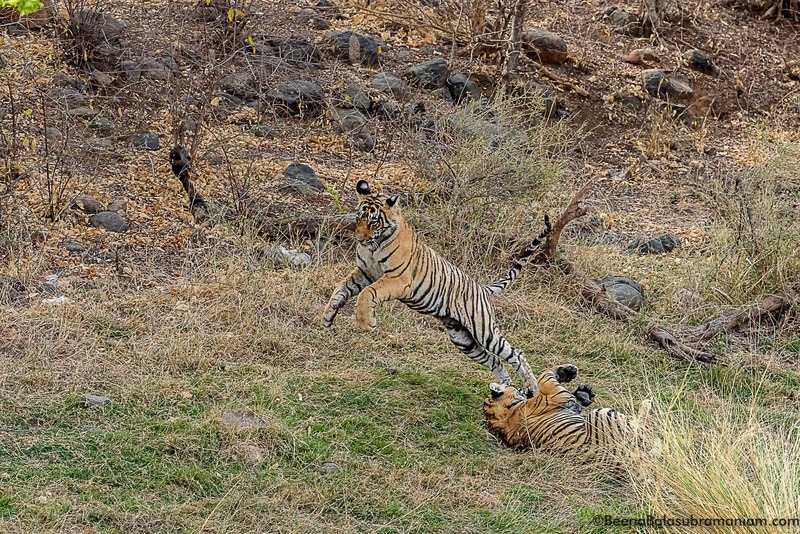 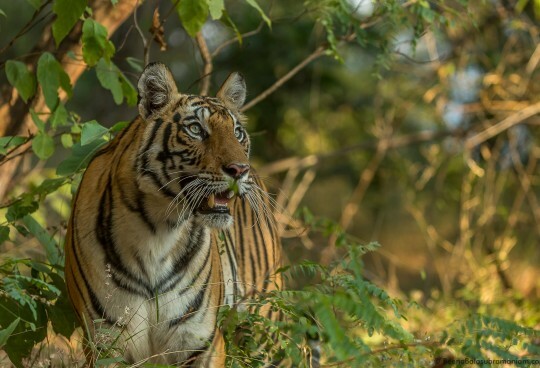 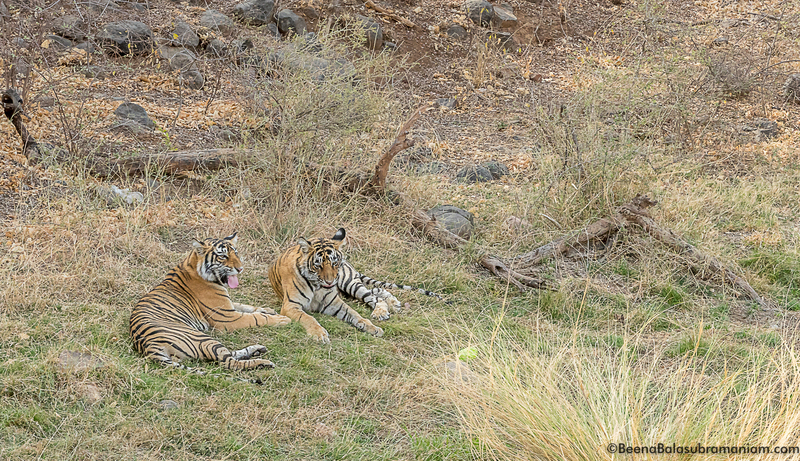 T8 is one of the best tigresses who is raising her third litter in Ranthambore. 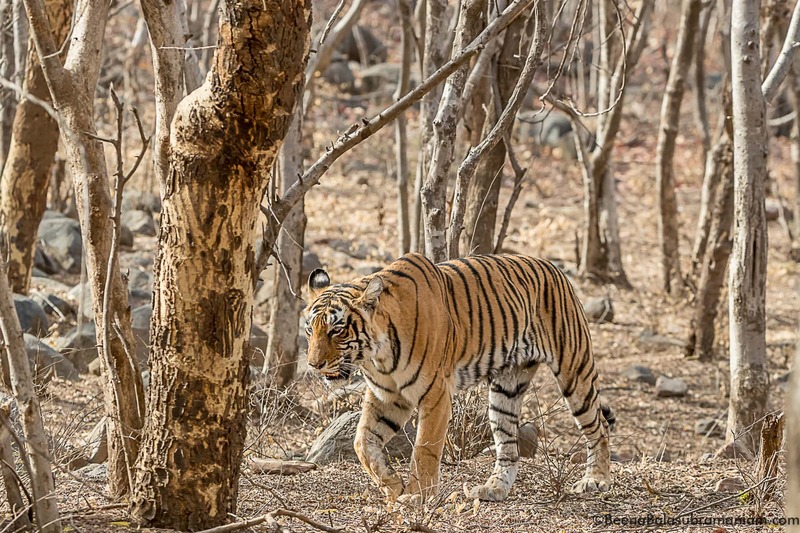 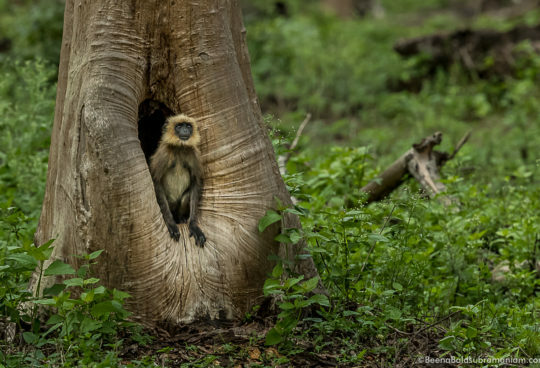 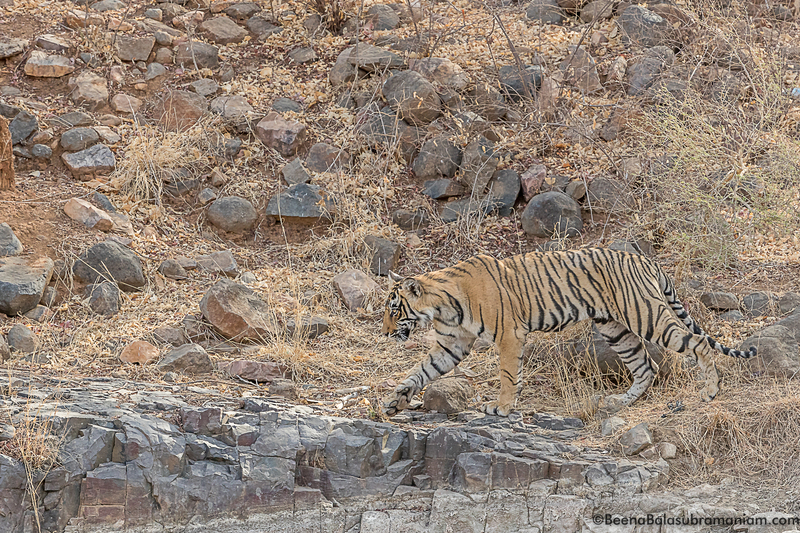 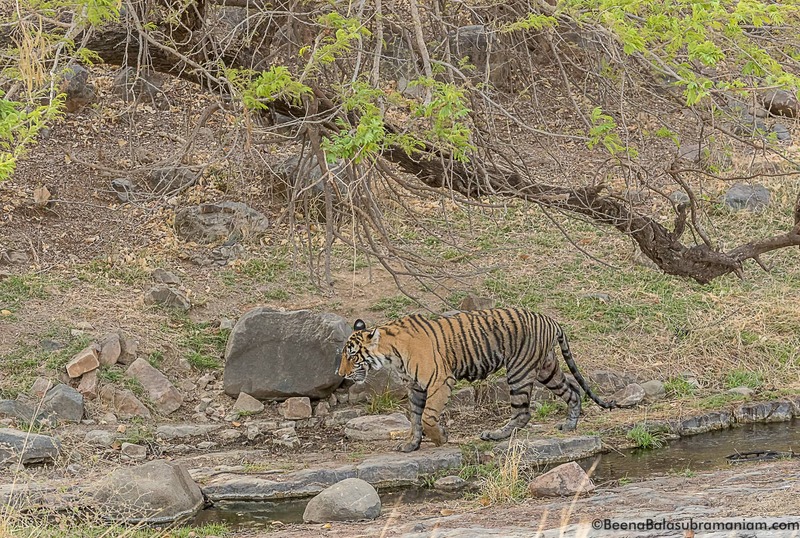 This is a picture story where they walk by the sandstone hills to find shade in the intense heat of Ranthambore. 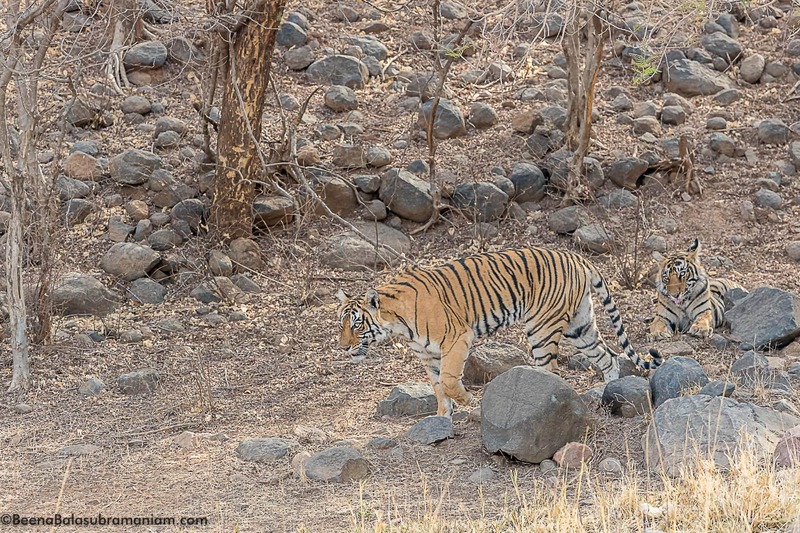 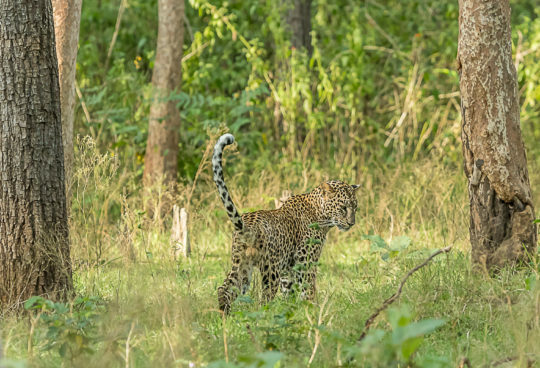 We were lucky to spot them early and there were only hundreds of cars chasing the family but the area was open enough to see them without disturbing them. 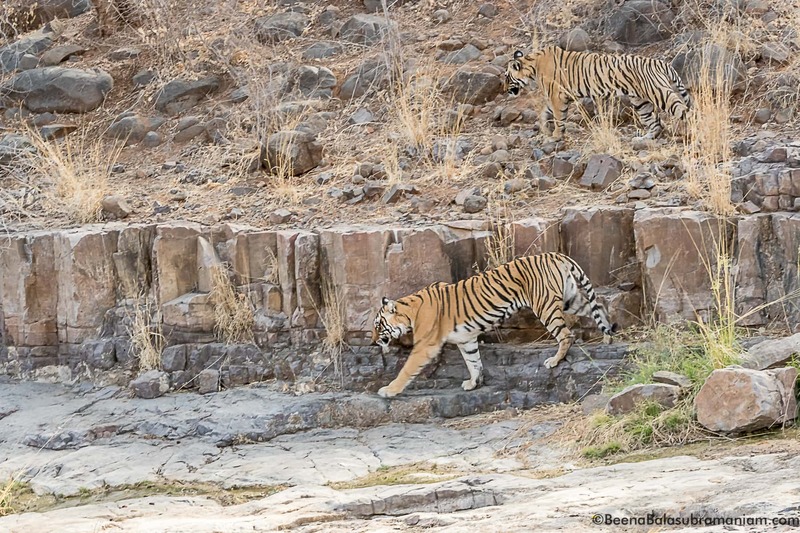 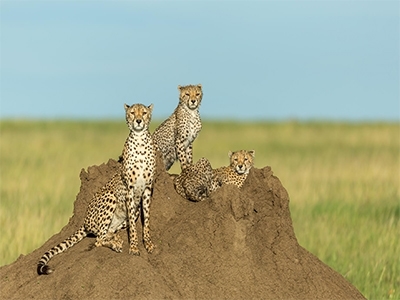 This is a picture story where the tigers walk through various terrains to find water and shade. 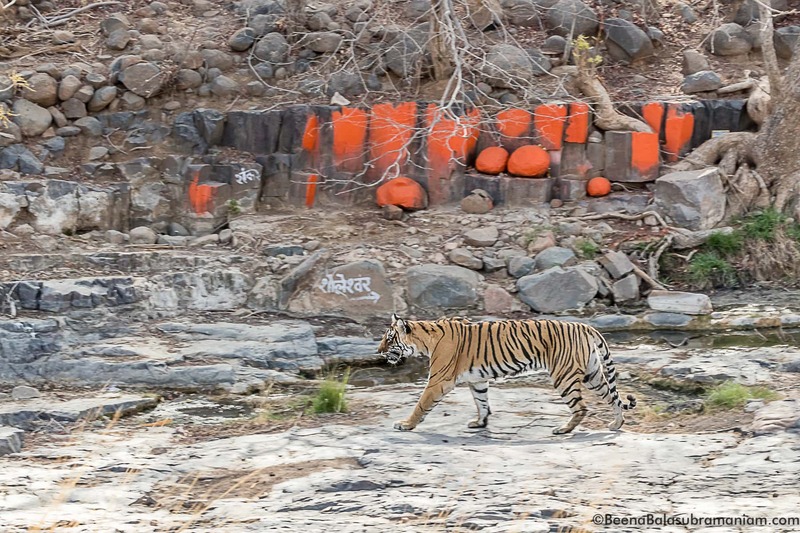 T8 in front of an old temple, the remains of the villages which were shifted out of the park.